Provide comfort for the family of Cynthia Reeder with a meaningful gesture of sympathy. 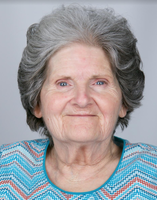 Cynthia Starnes Reeder 77, of Greenville passed away Thursday February 28, 2019 surrounded by her loving family. She was born in Whitmire, SC to the late Arthur and Evelyn Connor Starnes. Cynthia was a nurse who had a passion for reading. She also loved her New England Patriots. Cynthia is survived by her two sons Don Reeder Jr, and Steve Reeder; daughter Liz Lynch; grandchildren Ariana Reeder, Alyssa Reeder, Zach Reeder, and Jenny Reeder. To send flowers in memory of Cynthia Starnes Reeder, please visit our Heartfelt Sympathies Store.